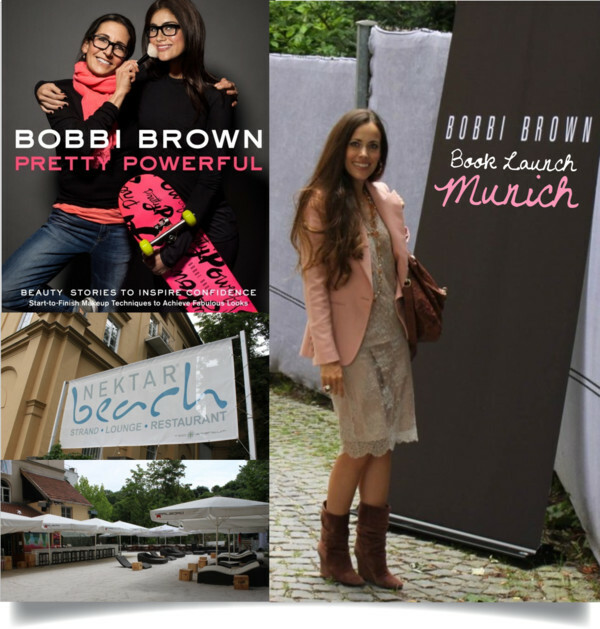 Sandy decor at Munich‘s hotspot Nektar, colourful goodie bags, hardcover copies displayed on white Nektar-branded crates and a nice crowd of journalists expected me for a wonderful lunch. Flipping through the book, you get immediately inspired. 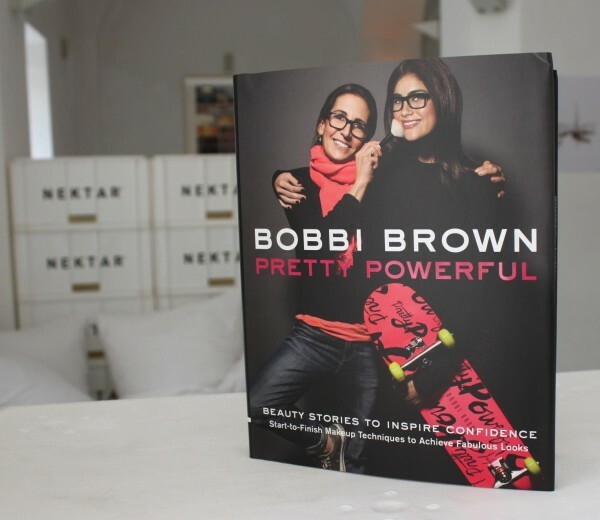 And this is all what renowned makeup artist Bobbi Brown wants to achieve with her do-good attitude towards makeup: To make you feel “pretty powerful” and to be confident. 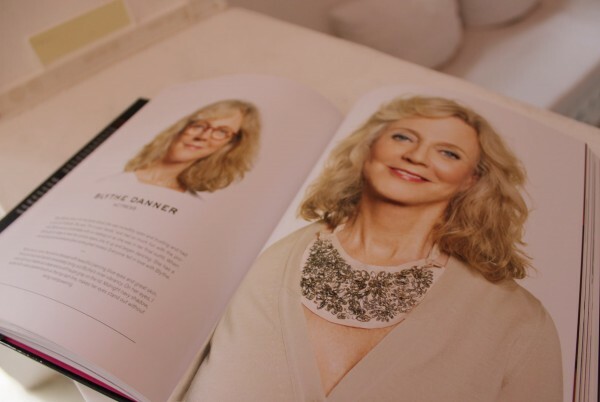 The tome includes stories in which the beauty guru hand picked celebrities, athletes, and everyday women to pose for before and after makeover shots plus tips how to eat healthy. In stores now for CHF 49.90. My look: Knit dress with lace overlay, earrings and suede wedge ankle boots, all by Louis Vuitton, blush jacket by Stella McCartney and brown Pandora bag by Givenchy. 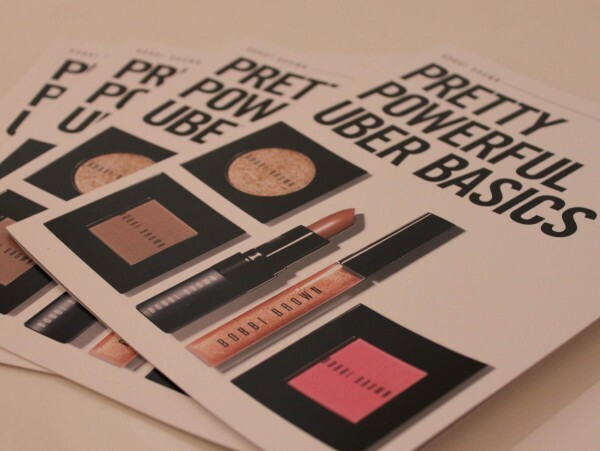 Inspired by Bobbi’s book, Pretty Powerful, Bobbi introduces the Uber Basics collection – shades for every woman. This collection will give every woman – no matter what her skin tone – the essentials she needs to go from pretty to pretty powerful, day to night. 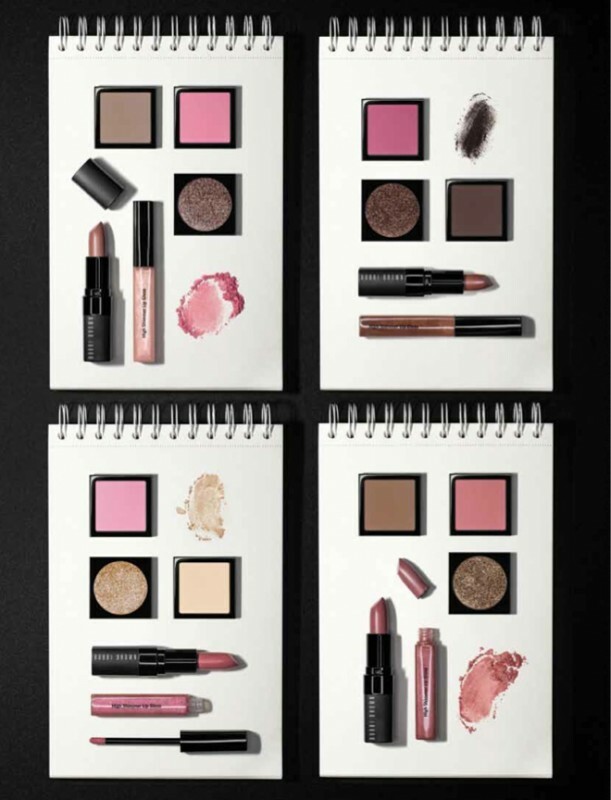 Highlighting the simplicity of Bobbi’s Uber Basic look, the collection is organized into four colour stories, with a corresponding Eye Shadow (CHF 37.-), Sparkle Eye Shadow (CHF 40.-), Blush (CHF 41.-), Rich Lip Color (CHF 35.-) and High Shimmer Lip Gloss (CHF 35.-). And I have more news from Bobbi Brown for you: Actress Katie Holmes is the first celebrity to become the face of beauty brand. Sounds all pretty powerful to me.